This is a nice 0.68 acre lot along West 3rd Street in the small town of Vermont, Illinois. 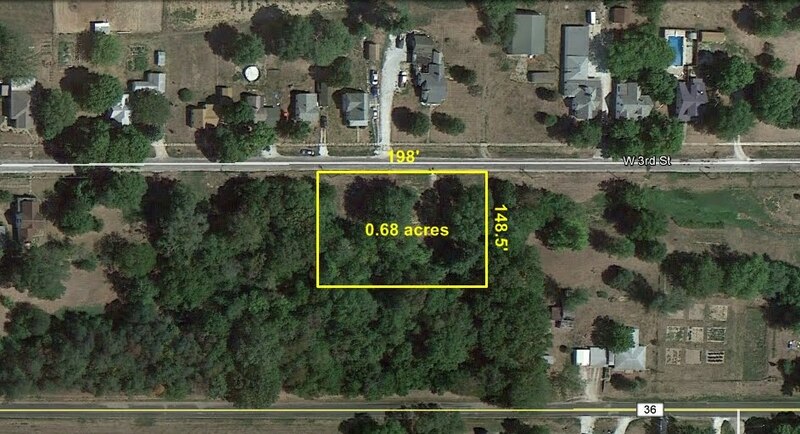 This is a very large lot to find in town, just one-third of a mile from the town square yet in a quiet, semi-wooded location! The property has a relaxed scenic atmosphere and offers plenty of privacy given its size and layout. It would make a great home site or investment property. The property is very unique in that it is one of the largest lots in the town and is also one of the most wooded. The property has access to utilities including electricity, natural gas, water and sewer. The property is downward sloping from north to south--a perfect setup for a walk-out basement. There is a small stream running through it at the bottom of the hill that cuts across the southern portion of the property. If you have any questions, please submit them in the easy-to-use form at the bottom of this page or send us an email at main@teraprom.com. We would be happy to arrange a visit to show the property to you or answer any questions that you may have.